Houston Orthodontic Specialists (Bellaire) - Book Appointment Online! 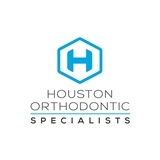 Houston Orthodontic Specialists provides premier, affordable orthodontic care. From the moment you walk in the door, you’ll know you’ve made the right choice; with our warm, family-friendly environment to our fantastic staff and cutting-edge technology, our team wants to give you an experience worth smiling about! Your journey to a bright, straight smile is crafted with the most advanced, proven orthodontic technology. Not only do they decrease our patients’ time in treatment, but they also maximize patient comfort during treatment. West Orthodontics is proud to be one of Houston’s top providers of Invisalign® and and Invisalign Teen as well as throughout the country. In addition, we specialize in traditional braces for patients of all ages, “fast braces“, self-ligating braces, lingual braces, and clear ceramic braces. Dr. Tabakman and the whole staff at West Houston Orthodontics were amazing! They make you feel like family the whole time. Everywhere you go, everyone calls you by your first name. They all take the time to get to know you as a person and genuinely take interest in your life!